Address: 431230 Republic Mordoviya, Temnikovsky r-n., pos. Push. 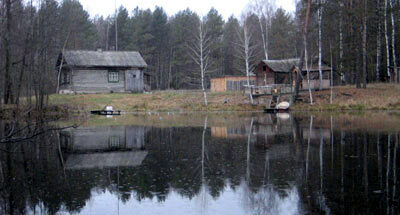 Zapovednik Mordovsky, on the northern border of Mordovia Republic was established in 1936. Its area is 32,1 thousand ha. 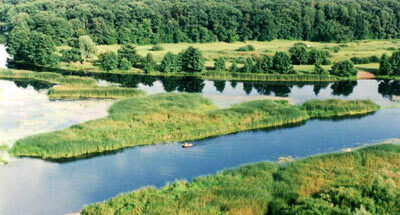 It is situated on the left bank of the Moksha River, in the eastern part of Oka-Klyazma Valley. The relief is a plain valley, slanting towards the Moksha River (the highest elevation is 187,7 m above the sea level). The bulk of the area (96%) is woodland. Sub-taiga light coniferous forests are widespread; 56% of the woodland are pine forests (with lichen, with green-moss, steppe-like, with club-moss). On mires develop соttongrass-sphagnum forests. In lichen pine forests pine trees occur, which are 350 years old. Mixed forests are also common: pine-linden, pine-oak forests. Spruce forests account for 3,5% of the area. Complex spruce forests occur in river valleys. Considerable areas are taken up by birch forests, there are linden and oak forests, and aspen forests. There are diverse floodplain meadows. The flora comprises more than 1000 vascular plants species including rare as the perennial honesty, caltrop, etc. 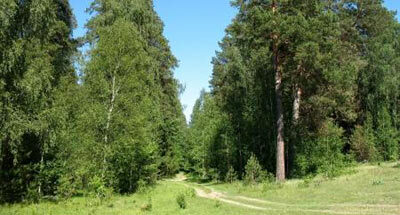 The vegetation includes some elements of broad-leaved forests, taiga and steppe. There are 59 mammalian species, and 194 avian species. 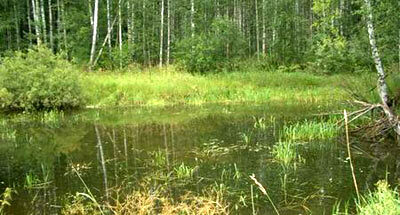 Dwelling in the Zapovednik are the moose, brown bear, lynx, wolf, marten, badger, and otter. The beaver has been re-acclimatized. The Caspian deer, sika deer, European roe deer, European bison have been transplanted into the Zapovednik. The wild boar has been introduced. The desman, a species listed in the Red Data Books of IUCN and the Russian Federation, is subject to special protection. The following birds are to be regularly sighted: the black grouse, hazel grouse; numerous owls; the common heron; bittern and little bittern are encountered regularly; among the nesting birds is the common crane. The rare birds to be found regularly are the white-tailed eagle, golden eagle. The black stork used to nest before. The fish fauna comprises 29 species: Cyprinidae are common; including the crucian carp, redeye, Percidae (darter, pope — Acerina cernua), mud loach, sheatfish are also common. The sterlet, zander, chub are rare.